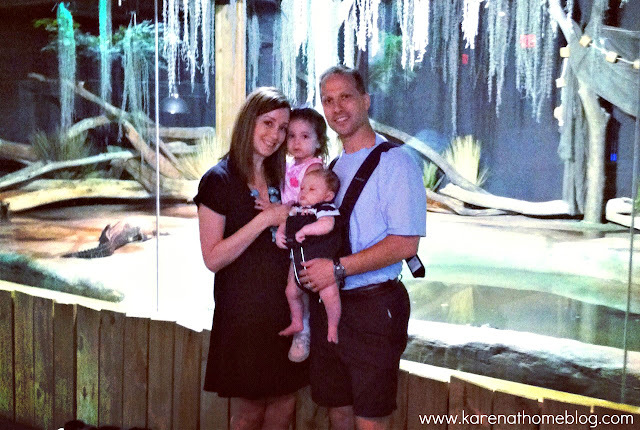 A few weeks ago my family and I were invited to a Cleveland blogger breakfast and tour of the new Cleveland Aquarium. To say we were excited was an understatement! 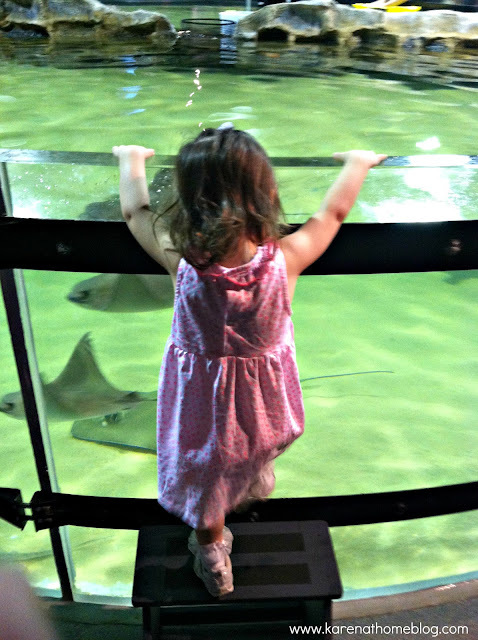 I have been wanting to take Jillian to the new aquarium ever since it open in January 2012. Jillian is at the perfect age where she loves all types of animals and fish. We have a large creek that runs through our neighborhood and Jillian is always asking Daddy to take her to see the "fishies, froggys and turtles." 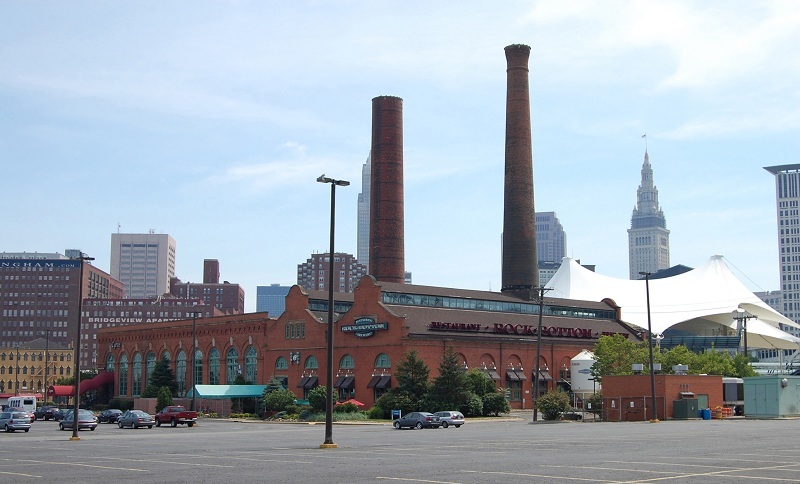 The new Cleveland Aquarium is located along the West Bank of the Flats in downtown Cleveland inside the old Powerhouse building. This 19th century historic building is the perfect site for the aquarium. The exposed red brick walls and loft style structure really create a unique, urban environment while observing the 5,000 freshwater and saltwater fish. The blogger breakfast was held in the Nautica Cafe which actually holds a sentimental memory for Jeff and I. This room used to be the old Rock Bottom Brewery Party Room where Jeff and I had our rehearsal dinner seven years ago. Having breakfast in the same room made our day even more special! While we ate breakfast, the staff gave a brief presentation on how the Aquarium came to Cleveland. One of the staff members showed off a baby Cayman which Jillian absolutely loved. She was dying to pet it but that just wasn't an option for obvious reasons! After breakfast, the bloggers were able to tour the Aquarium before it opened to the public which was such a treat! We had the run of the place and I mean literally! Jillian would run from one tank to the next bursting with excitement. The first leg of the tour brought us to all of the fresh water tanks filled with the different fish and aquatic creatures of Lake Erie and other Ohio lakes and rivers. 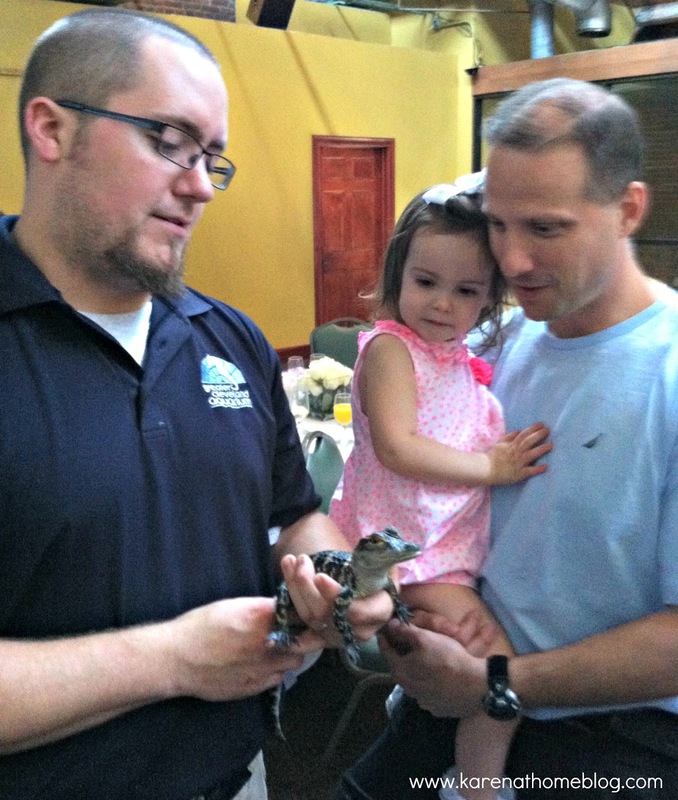 The next exibit featured live Alligators and Caymans! Yikes!!! Can you spot the Alligator in this picture? 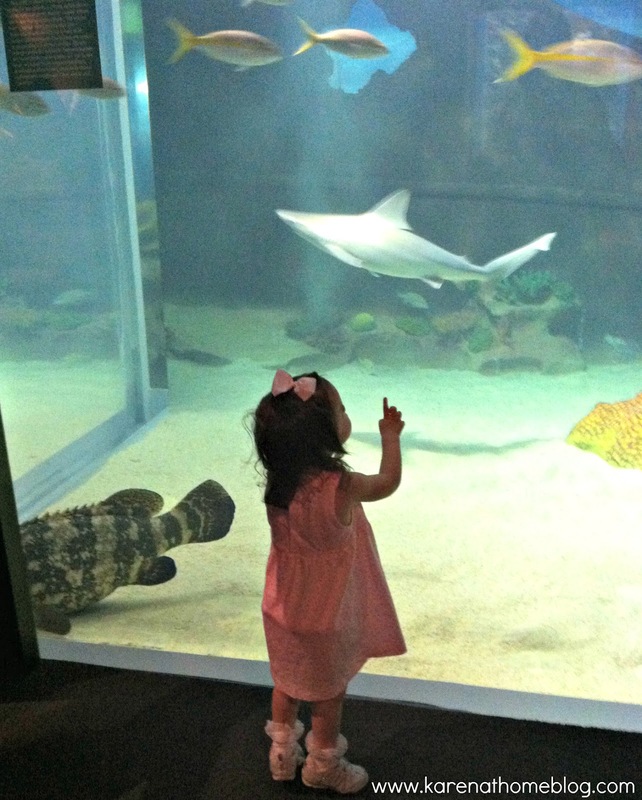 Jillian's favorite exhibits were the Shark Tank and the Touch Pool. We all got to pet the stingrays which was so cool! Did you know if you lightly smack the water with the palm of your hand they will swim to the surface and smack at your hand with their fin? That was pretty amazing! Jillian had such a great time, it made me so happy to see her running back and forth from one fish tank to the next with so much excitement in her little voice. 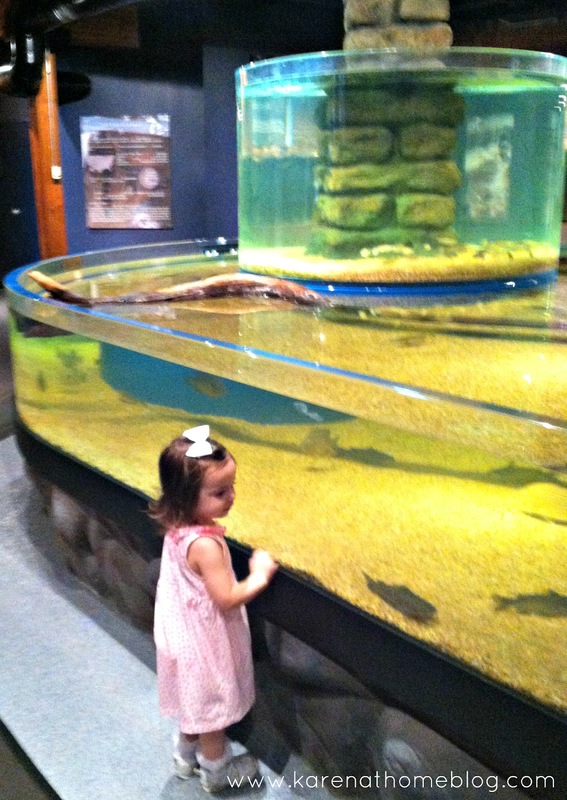 She kept screaming and pointing to every shark she saw and kept saying "another shark fish, another shark fish!". Even Nicholas loved hanging out in the Bjourn looking at all the beautiful fish. 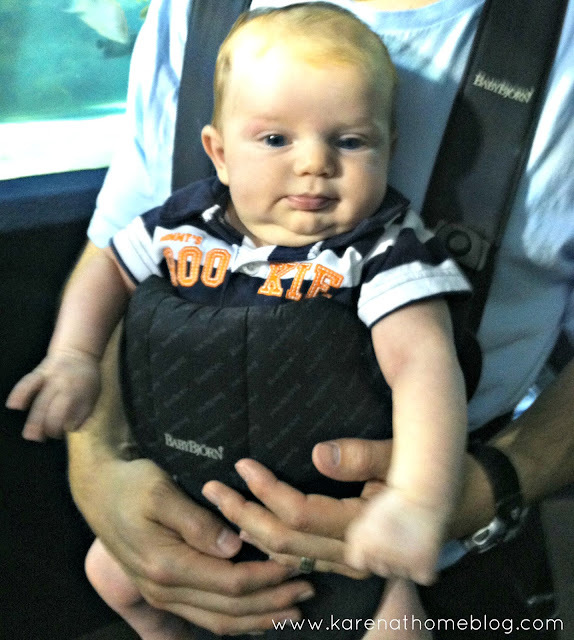 We lucked out and happened to tour the Cleveland Aquarium on "Ocean World Day." In honor of this special day, the aquarium held several fun events and activities for the kids such as coloring, face painting, and baby pool fishing. 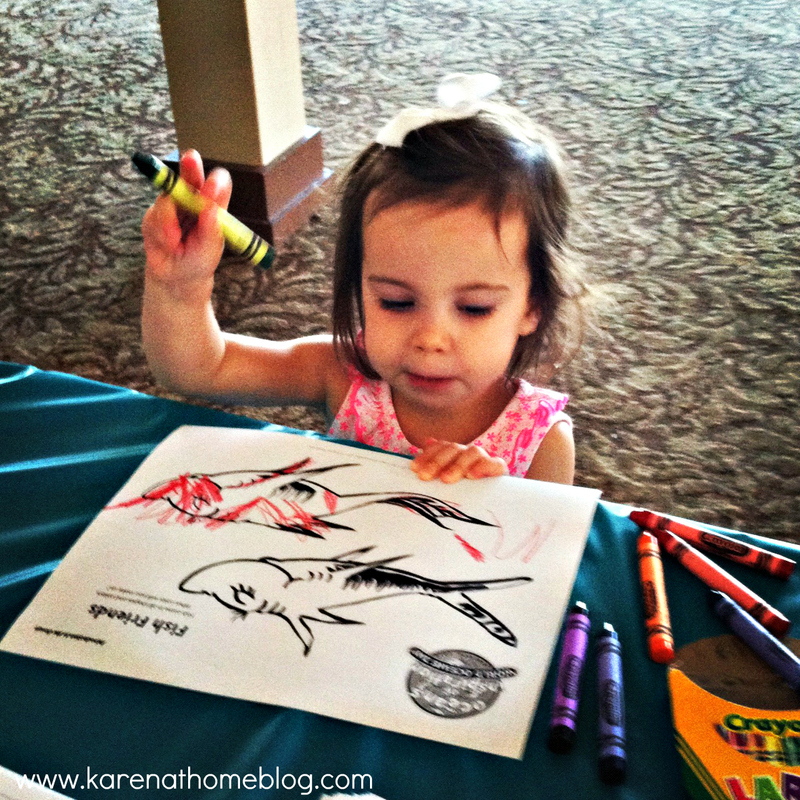 Jillian had a great time coloring a picture of her "fishy". A big thank you to the Cleveland Aquarium for such a fun filled day! It was the perfect outing for my young family. I know we will be back soon to hang out with the "shark fish" again! Come back tomorrow when I will be hosting a giveaway for free tickets to the Cleveland Aquarium! 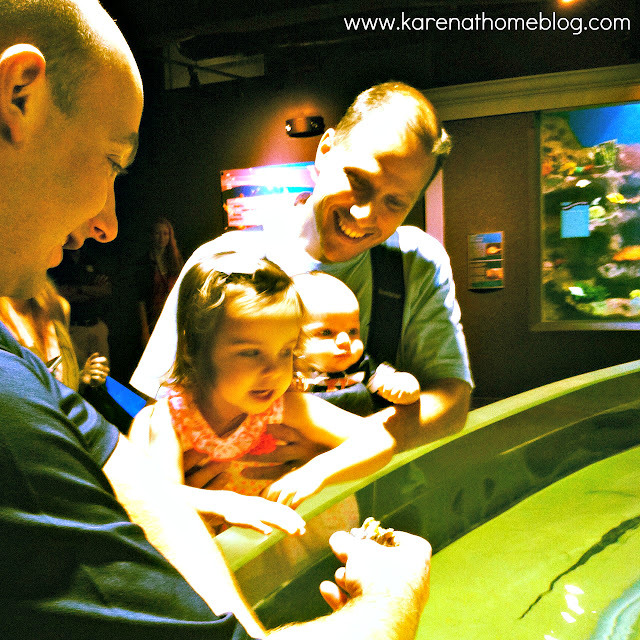 Disclaimer: We were guests at the Cleveland Aquarium for a blogger breakfast and tour. They gave us free admission, breakfast, tickets for a giveaway and a goody bag. No other compensation was received. All opinions are 100% my own. Like Karen At Home on Facebook for even more tips for your life and home! Jillian is so cute! As is Nicholas! OMG love this double chin in that picture. He is getting big so fast. Oh, and you look fabulous too!! I love that necklace every time I see it posted on you. Thanks Colleen for all your sweet comments! What a fun day! You look great! We need to bring my nephew to New Orleans to the aquarium. I never think about it but I know he'd love it because he loves fish! Thanks Traci! Jillian really did love it, she had such a blast and wouldn't stop talking about it. Looks like you guys had a fun time. We're planning a family day their with my husband's family in a few weeks. I'm sure it won't be as exiciting since we won't have a toddler along to get so excited. I'm so glad to hear positive feedback about the aquarium. I just took my daughter to one on vacation and she loved it so I plan to check out one so close to home. I plan on checking it out sometime next month! You look great for just having a baby! We have to do this! I'm looking forward to it. Wow, what a great day and how awesome is is that it was free!